If luxury is what you’re looking for in an SUV, then there are a pair of outstanding options found in the Jaguar lineup. Marlboro, Englishtown, and Freehold drivers can pit the 2019 Jaguar E-PACE vs. F-PACE to find the SUV right for their needs. The Ray Catena Jaguar Marlboro sales team has put together this comparison to explore the similarities and differences between the two models. We can promise you one thing: Regardless of which one you choose, you’ll be enjoying Jaguar luxury on every drive. Contact us today for more information! The Jaguar E-PACE is the smaller of these two vehicles, but it’s by no means lacking under the hood. It comes standard with a turbocharged 2.0-liter 4-cylinder engine, capable of delivering 246 horsepower. R-Dynamic models feature the same engine, but you’ll receive a boost to 296 horsepower. Regardless of which setup you have, the E-PACE is more than powerful enough to handle pass-and-merge maneuvers on the highway. You’ll have plenty of choices when it comes to the 2019 F-PACE. The turbocharged 2.0-liter 4-cylinder on the E-PACE is also found on the F-PACE, but on the SVR trim, there’s something you’ll have in the Jaguar F-PACE unique to this model: a 5.0-liter 550-horsepower V8 with all-wheel-drive. A turbocharged V6 can produce up to 380 horsepower, while there’s also a turbodiesel option for those looking to save a bit when it comes to the pump. When it comes to the Jaguar E-PACE vs. F-PACE, the interiors of these cars have been meticulously created by the Jaguar design team. They’re both well-appointed and driver-centric, but with space for up to five, even the passengers will be satisfied with the cabin amenities. The available leather or premium leather seating in the 2019 E-PACE looks great but also feels great, particularly on those long drives. The F-PACE also features available leather seats. When it comes to cargo space, there’s plenty of room in both vehicles, with a maximum of almost 53 cu. ft. in the E-PACE and around 63 cu. ft. in the F-PACE. While the latter may offer more space, the E-PACE still has plenty of room for luggage, groceries, and gear for a weekend adventure. A large 10-inch touchscreen is the standard infotainment offering in both cars, and Android Auto™ and Apple CarPlay® are offered as available features. With just a few taps, connect a smartphone to the touchscreen and interact with various phone features. A plethora of standard driver assistance features provides drivers with practical safety. A standard rearview camera offers increased visibility when putting the vehicle in reverse. You’ll see what’s going on behind the car and know of other vehicles or objects which may be in the way. Emergency Braking technology detects potential frontal collisions, with an audible warning given to let you know of a possible crash. A visual warning will follow. If you aren’t able to react in time, the brakes will be applied to reduce the chances of a collision. Lane Keep Assist is another convenient standard feature, which can detect lane drifting and guide you back to your lane by applying torque to the steering wheel. You’ll find all these standard features in both Jaguar models. We hope you found this car comparison of the Jaguar E-PACE vs. F-PACE to be useful. 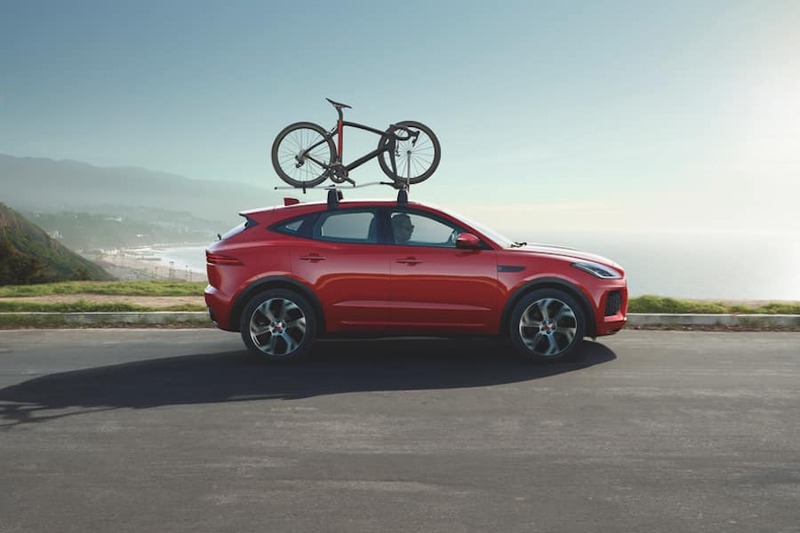 As you’ve seen from this comparison, the 2019 Jaguar E-PACE and F-PACE are well-positioned to be your next car, if a luxury SUV is what you’re looking for. 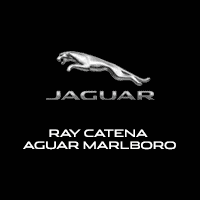 Visit Ray Catena Jaguar Marlboro to take a test drive. Our sales team will be happy to schedule one for Marlboro, Englishtown, and Freehold drivers here at our dealership today.